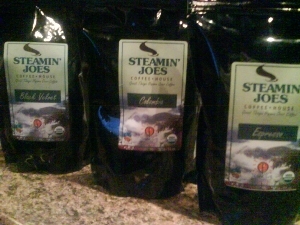 Welcome to Steamin' Joes Coffeehouse! Our newest store is now open in the Foothills Shopping Center just a few miles from the entrance of Big Canoe in Marble Hill, Georgia. 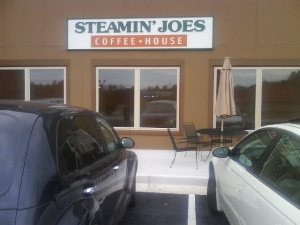 Steamin' Joes is located at the corner of Hwy 53 and Steve Tate Road. You're invited to stop by and taste the region's best coffee, espressos, and cappuccinos. You will find a great flavor selection in frozen coffee drinks and hot-of-the-griddle sandwiches. 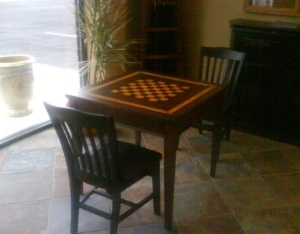 Steamin' Joes Coffee House offers a great environment to relax, talk to friends, and play a few games of chess or checkers. Many people enjoy our high speed wireless internet service maintained by SparkMixer Publishing (SparkMixer.com). Simply ask your barista for the day’s WPA-PSK key code and in seconds you can be surfing the web on your own laptop. People love their own special Steamin’ Joes nicknames given to regular customers after 22 visits. The name based on their choice of coffee drink or something they do at work such as: Chicken Little, Ms. Amaretto, Mr. 4 Shot, & Curly Sue etc.